Y’all!! Who is ready for this?! I quickly posted this in our Facebook Group yesterday. Mark your calendars and get ready to line up at your local gaming stores on September 29, 2017! 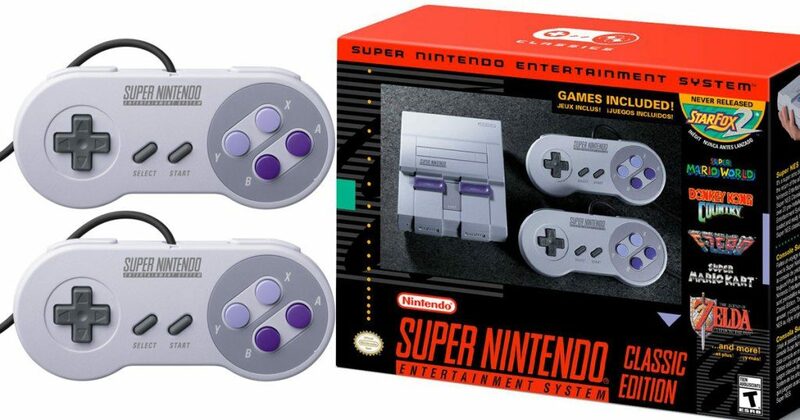 Nintendo has just announced that they will be releasing a Super NES Classic Edition Console which will allow Nintendo fans to play popular retro Nintendo games in HD! This new console will come pre-loaded with 21 games! These retro game consoles will be priced at $79.99 and be available from Nintendo on September 29th!